When a woman finds a doctor she knows and trusts, she has better health outcomes. With over two decades of experience, Jon W. Ahlstrom, MD, of Logan, Utah, has the experience and demeanor that make him approachable and trustworthy. With a friendly personality and a history of working with women from puberty to post-menopause, Dr. Ahlstrom at Logan OB/GYN addresses and meets your healthcare needs. At his private practice, Dr. Ahlstrom treats women’s issues, from endometriosis to incontinence. With the compassionate team and comfortable environment at Logan OB/GYN, this board-certified physician does more than focus on the reproductive system -- he provides women’s health care for every season of life. Dr. Ahlstrom received his undergraduate education at Utah State University before earning his medical degree from Cornell University Medical College in New York City. He completed his specialty residency training in obstetrics and gynecology at the University of Chicago Medical Center. Dr. Ahlstrom proudly served 20 years with the United States Air Force, and retired as a Lieutenant Colonel. He completed his last 10 years in the Utah Air National Guard as Chief of Medical Services. and still holds the title of lieutenant colonel. He participated in several humanitarian medical missions to Morocco and Mozambique where he served as deputy commander. 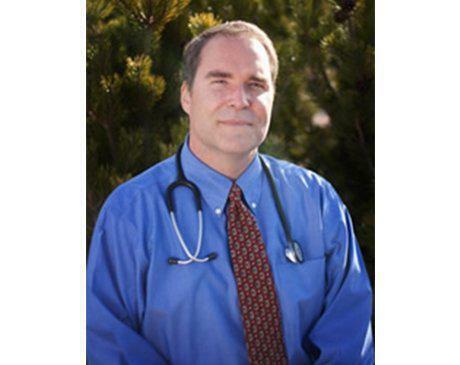 For the last 15 years, Dr. Ahlstrom has been practicing medicine in Utah. In that time, he’s served as the chief of the OB/GYN department at Ogden Regional Hospital and the OB/GYN coordinator for the McKay-Dee Family Practice Residency Program. Dr. Ahlstrom met his wife at Utah State University, and has been happily married for over 30 years. They are the proud parents of three grown children, all USU Aggies. In his free time, Dr. Ahlstrom and his family enjoy skiing, spending time in the local mountains and traveling.